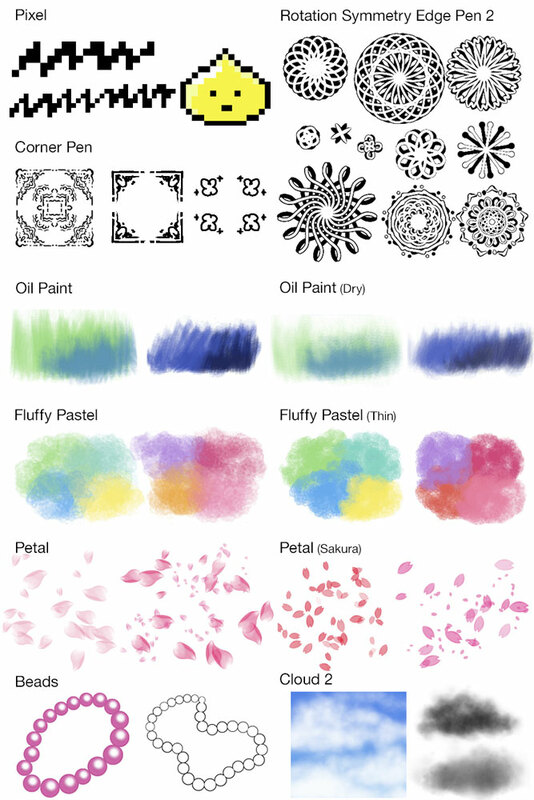 Medibang Update: Some New Brushes! 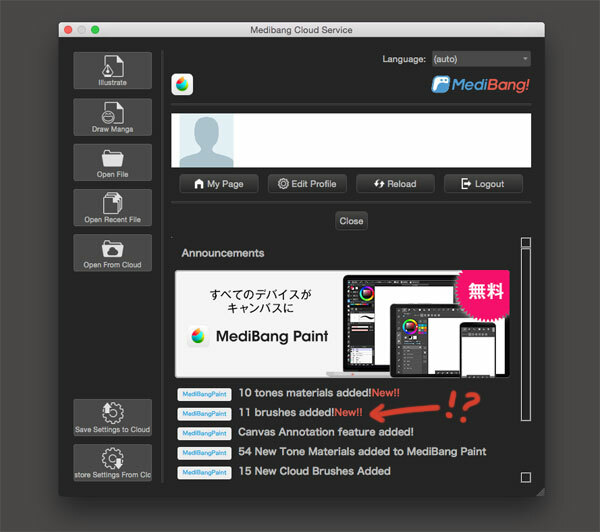 So, if you ended up downloading the free Medibang Paint app on my recommendation, or if you owned it already, you might have noticed something in your welcome screen when you opened the program over the weekend. 11 New brushes? Yup. 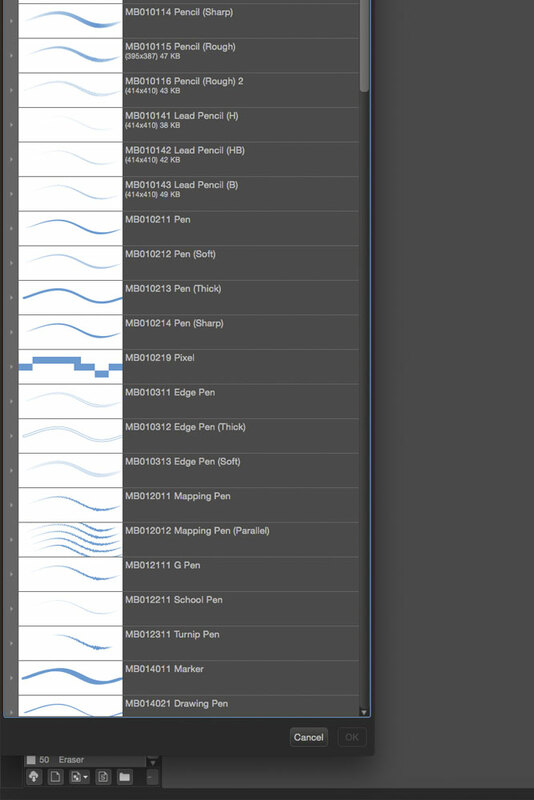 You might have even gotten an email about the update that led you to this image of those new brushes. Look at all these crazy brushes! 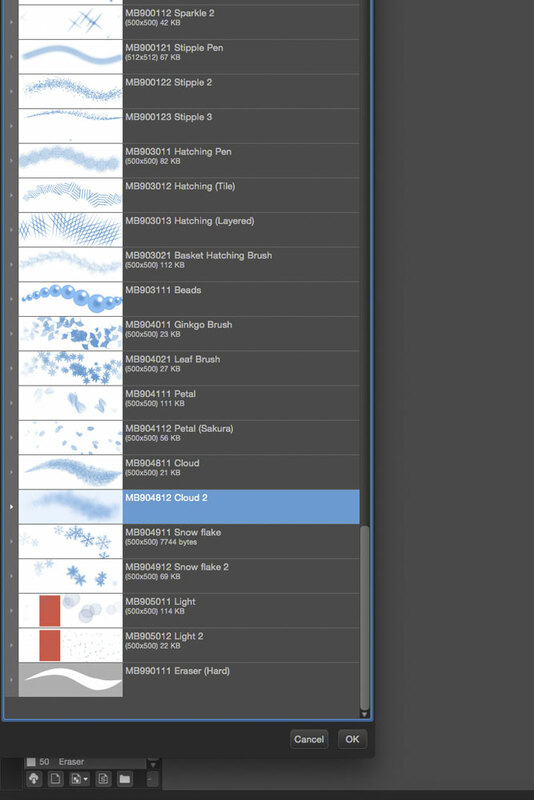 Geometric brushes, natural media brushes, effects brushes… Amazing! But where are they? Your brush palette still looks the same as it always did. Is someone pulling your leg? Nope. You just gotta know where to find those brushes. 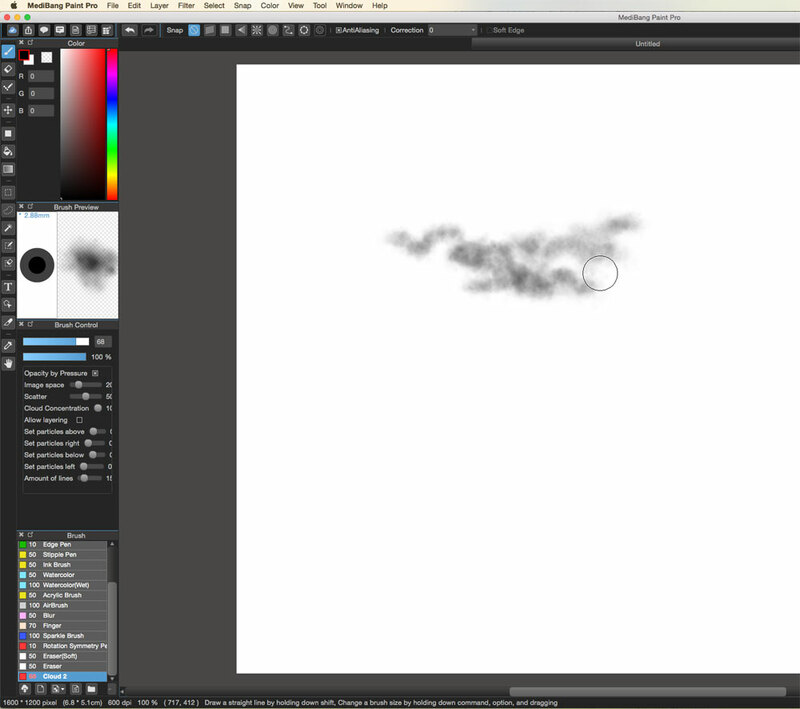 First thing you gotta do is click on that little cloud/download button at the bottom of your brushes palette. Wow! 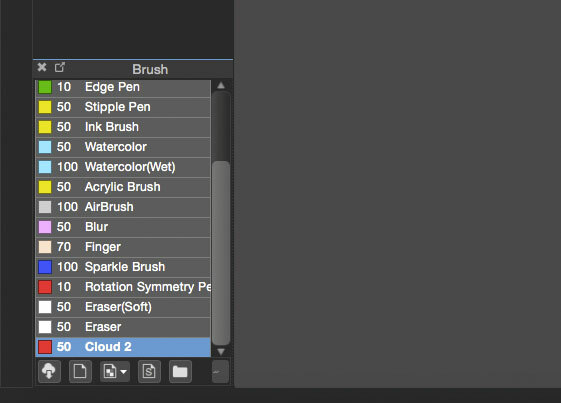 Look at all these brushes sitting around in the cloud just waiting for you to choose them! To tell you the truth, there are more brushes up in that cloud than I was aware of. Up until I got that email alerting me of the new brushes, I hadn’t even noticed that ever-growing list of updates in the Welcome screen. Medibang’s still a learning experience for me, so it was interesting to see how many resources I’ve had access too at the touch of a button. 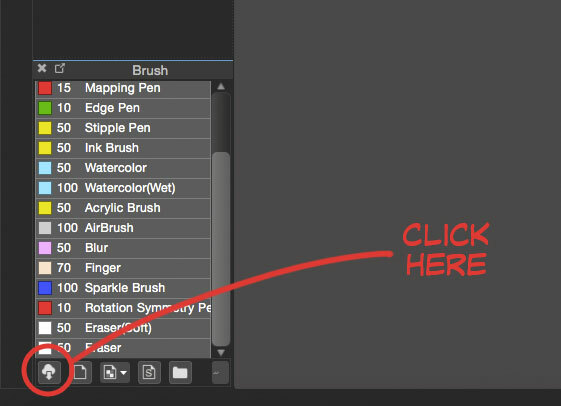 So, you can scroll through the list and find the brushes you might want to try — I wanted to see what that Cloud 2 brush was all about — click on the brush, then hit OK.
Now, if you go to your brushes palette, you can see the new brush you downloaded right there at the bottom of the list. Click on it and go nuts. You might also want to go back through the list of updates to see what else you might wanna try. I noticed Tone Materials were added at some point and I’d like to experiment with those too.